Storage specialists you can trust. Is your pallet racking safe and secure? Don’t jeopardise the safety of your staff and stock by ignoring leaning, overloaded or broken steel shelving. 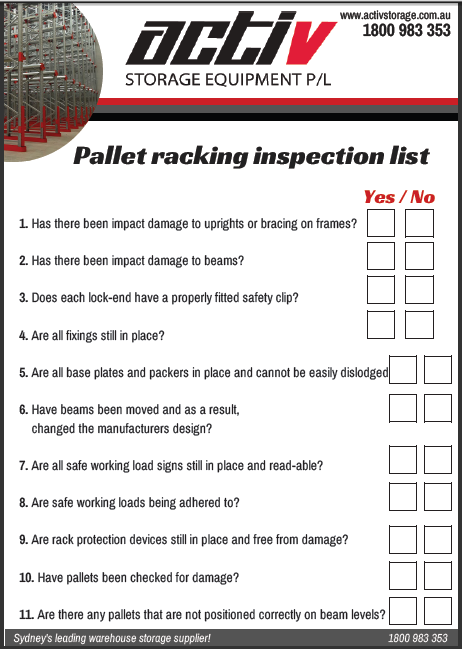 What to look for to diagnose damaged pallet racking. Key problem areas for steel shelving. 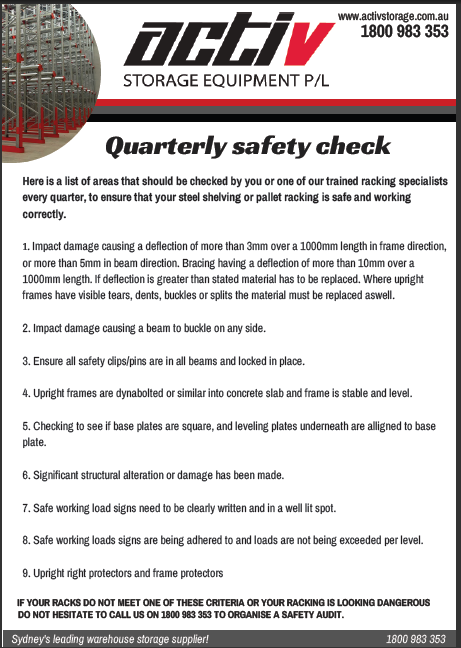 How often you should be checking and maintaining steel shelving. Activ Storage Equipment's experienced racking installation team specialise in identifying and repairing damaged pallet racking. Learn about our racking repairs service. Fill in the form below to download!